Anyone get NBA 2K16? 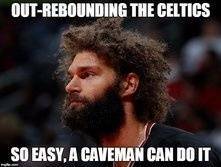 Mickey missing on the Celtics roster.. Considering the fact he was the highest paid 2nd rounder in the history of the NBA. I am disappointed. I wanted to make my team surrounded by Smart, Hunter, Mickey, and then trade for Stanley Johnson or Winslow and DMC. Oh well, has anyone else bought it yet? I'm not a fan of the controls... They need to stop switching it. Re: Anyone get NBA 2K16? Mickey missing on the Celtics roster..
Yeah, I noticed that too, maybe he'll get patched in at some point. L m a o .
I was very upset that they just ignored Mickey being on the roster, but what were they supposed to do? 16 players for 15 spots, gotta drop the rook. Once a real life cut is made, and the beginning of season roster update occurs, he will assuredly be on there. A note on the controls, give them a chance. I hated them for the first week or so, but now I can't imagine playing any other way. Only real change that occurred was more precise type of passing, and more fluid post play (entering and leaving post position that is.) I honestly think it contributes to the best "feel" the game has ever had. Also yea spike Lee really butchered the 2k story. It's advertised as your story, but it's not. It's spike Lee's story, so you better not forget it. However, once spike Lee's story is over (rookie season ) the mycareer becomes very good. The new off day system is very innovative, and adds a whole new dimension to what your character feels like. As someone who unfortunately has been a repeat customer of 2kbasketball since 2009 (yea I'm addicted, but it being one of two games a year I buy isn't bad,) this is definitely the best 2k I have ever played. It is a masterpiece of a basketball game, rivaling even nba street vol. 2. Ps- fellow mygm/league junkies rejoice, they added 3 team trades, more than 4 spots in a trade, and the ability to relocate your team to another city while changing the interior of your arena (for when you play as a non celtics team of course). Also good luck trading for DMC, it's pretty impossible. I have 2k15 and the cheese is really getting to me. Is it worth upgrading to 2k16? The my career is a waste in my opinion this year, since we can't make any choices for cutscenes, and I like doing that. But the mygm, like you said, seems great. Is the gameplay better to the point that I should upgrade to 2k16? I typed out a super long and thought out explanation on my phone explaining each way in detail why it is better, and the site logged me out (my fault ). 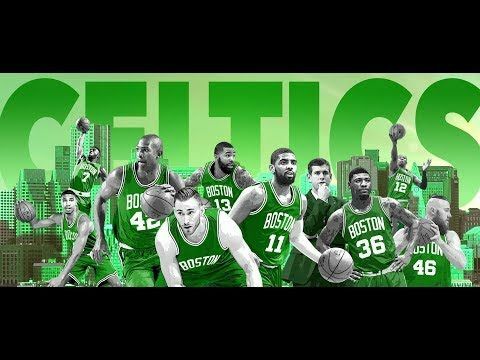 -07,08 celtics as a historic team (90 kg is flawless) need i say more?